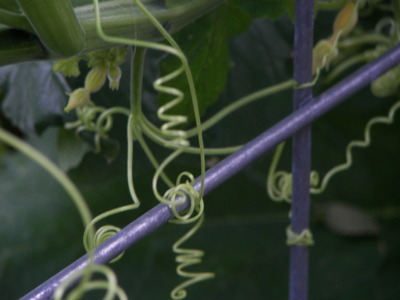 Like the tendrils of this plant our hearts are attached to a new friend. We met Sara(h?) with a polite handshake last night. She left this morning with hugs. Hosting friends (and friends of friends) is such a delight. we could house him and his friend Sara we were excited to see him again. the book in Sara’s hand, that this was a kindred spirit. and the idiosyncrasies of that language. His mom lives four blocks from Schindler’s factory in Krakow. holding area where they rounded up the Jews. inspired by each of the ten commandments. Have you heard of the Polish poet Czeslaw Milosz? ever heard of Wendell Berry?” Oh my. Oh my. my favorite discoveries this past year. Now it was her turn to stare. Rachel Ray? She has a cooking show! Yup, there is an Anthony Trollope book entitled Rachel Ray. within their natural and immediate reach. This entry was posted in Uncategorized and tagged friends, poetry, trollope by alivingpencil. Bookmark the permalink. Isn’t it wonderful how books can bring kindred spirits together? I love it when that happens! Here’s the link to Milosz’s poem which I posted in April ’06. Glad you discovered him, too. And in such a charming way. Off to investigate Rachel Ray. This is how life so often happens: I was reading your blog last April, but I seem to need several references before something sticks to my brain. Thanks for the link again. And you are so right – two new friends. Found an ebook copy of Rachel Ray and have read a little bit. I’m going to keep at Trollope ….until I can say I like him. I’m also reading bits of St Elmo by Augusta Jane Evans, a 19th Georgia writer. A former neighbor (83 y o) keeps asking me to read it and tell her what I think. I mentioned Milosz in a post here. There’s also a link there to the Moore article Dana mentions. I do like some modern poetry (some has great imagery) though I do prefer meter and rhyme. Carmon, thanks for the link. I’m interested in learning more.Sandy, I’m glad to know that you appreciated the Dekalog. My husband is teaching through the ten commandments in Sunday School, so this is really timely.Dana, it’s hard to not like what good friends do, but it’s fine with me if you don’t like Trollope. I remember back in the days when everyone was ga-ga over Frank Peretti’s books and I was the only one in my church who wrinkled my brow and said blech. I have read some of Trollope, though not the Rachel Ray title. But the opening lines sound a little like some lines I remember from Paradise Lost.